Ah, the conveniences that we’ve come to know and love. The vacuum cleaner revolutionized housekeeping. Instead having tea while the hired housekeeper cleaned her house, women bought (or better yet, received as gifts) electric appliances that not only picked up some of the dirt from the floor but also made a lot of noise, scared the dog and created interference on the radio or television. To top it all off, the housewife got to take the contents of her modern vacuum cleaner out to the trash, creating a cloud highly reminiscent of the dustbowl of the 1930s. Another area ripe for technological improvement was the family photo album. In the days of film, you carefully composed your picture, checked the lighting, and took a snapshot. We were all very conservative because film, processing and flashbulbs were all consumable and wasting pictures could be costly. It was common for a roll of film with 12 exposures to be developed and printed starting with Christmas pictures, beach pictures, Halloween pictures and end up with the following Christmas’ pictures. When we got the printed photographs, we discarded those that were out-of-focus, included grimaces or closed eyes and kept only the good ones. Ideally, those that passed muster would be safely mounted in an photo album, and tucked away where they would be safe, but easy to retrieve. The early technological improvements were actually helpful. Color replaced black and white, and albums with plastic pages worked better than gluing four little corners for each photo. 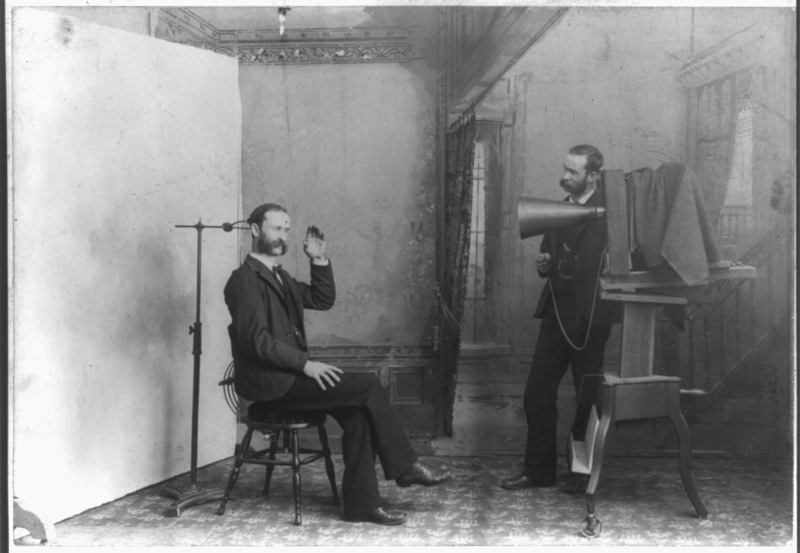 Lulled into a sense of complacency, we had no clue as to where photography was going. The real change came with digital cameras. No waiting for the corner drugstore to process the pictures. No buying film, You could store and sort the pictures easily on your computer. You could crop, fix redeye, adjust the color and make small or large prints. Wow! Is this great or what? A hard drive failure could destroy every picture you ever took, and sometimes the pictures would be saved in some obscure location in a sub folder of a sub directory under a file name you would NEVER expect. The convenient digital picture you wanted would take hours to find. I bought my wife a new digital photo frame and we decided we’d go through all the digital photos and figure out which ones to include. I retrieved the backup DVDs on which I had backed up all the photos. THREE INCHES of DVDs, going back to my first digital photos taken in 2000. Do you know how many photographs you can store on that many DVDs? So if I don’t write a blog for the next 6 or 8 months, don’t worry. I’m just sorting digital pictures. This entry was posted in Arts, Communications, Culture, Family, History, Humor, Media, People, Philosophy, Science, Technology and tagged camera, Digital camera, Digital photo frame, Digital photography, Photograph, Photography, snapshot. Bookmark the permalink.